Your GP may not be open over the bank holiday weekend, but please help us to focus on our sickest patients by only coming to the Emergency Department (ED) in a real emergency. Read " Know where to get the right care this ba…"
The Department of Health has announced that our Trust will be one 70 trusts to benefit from funding to make improvements to emergency care. We will receive £1m in funding. Read " Funding boost for our Emergency Departme…"
Work to relocate a number of services at King George Hospital to improved facilities within the hospital is now complete. 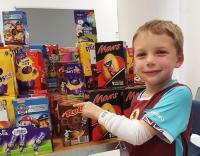 Read " Improved services for our patients…"
Children who had to spend time in hospital over Easter were cheered up by yummy chocolate eggs donated to the King George and Queen’s Hospital Charity by several local causes. 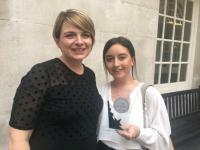 Read " Eggs-plosion of Easter cheer as local pe…"
Samantha Misselbrook, a training and development assistant at Queen’s Hospital, was named best apprentice in the north, central and east London region at the National NHS Apprenticeship Celebration Awards. Read " Our apprentice wins national award in re…"
Spring has definitely sprung and a lovely four-day weekend is fast approaching, with the opportunity to get lots of DIY projects started at home. Read " Don’t let a home DIY project ruin your E…"
The national NHS staff survey results have shown huge improvement in positive feedback from our teams. Read " A tale of two staff surveys – huge impro…"
We’ve launched our new Operational Plan, setting out our priorities and where we’ll be investing in services to continue to improve care for our patients. 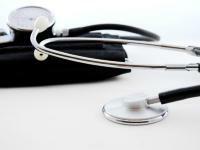 It will help us to achieve our vision to provide outstanding care to our community, delivered with PRIDE. Read " Our new Operational Plan…"